16-color light in turn, the led light one cycle of the light is 120 seconds, if the person is gone but the light has begun to have to wait until after 120 seconds to extinguish. 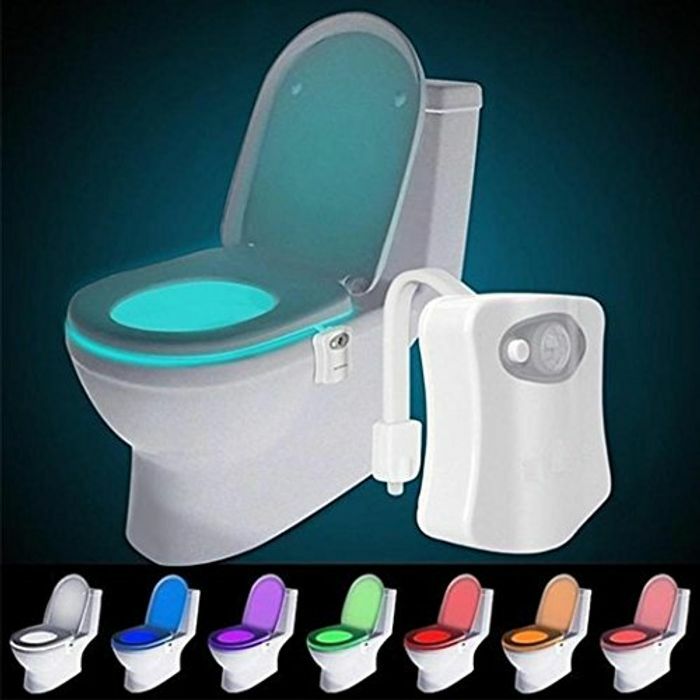 Suitable for all bathrooms for home, hotel, restaurant, coffee house, etc. These are brilliant, your own disco in the loo! Also handy to aim when your half asleep lol. Thanks for sharing. I had these in both my toilets but they kept slipping off the rim and down the loo as soon as the seat was pulled up. Dont know if it was just my heavy handed lads or the shape on my loos but had to remove them. They are great for the price tho and really do light the whole room up. Great for sleepy lads with even less aim than they have im the day.